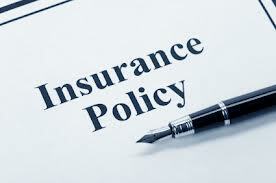 Why do I need Insurance Coverage for tutoring? 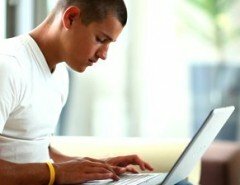 Home / Blog • Business Building • Business Resource • Intermarket Insurance • Private Tutoring • Supplemental Education Services • Vendors / Why do I need Insurance Coverage for Tutors and Tutoring Companies? WHY DO I NEED INSURANCE COVERAGE??? Whether you are an independent in-home tutoring business, privately contracted tutor or owner of a learning center franchise, you assume a considerable amount of risk throughout your everyday course of business. Private practice educators should be aware of the amount of risk/exposure they assume and here’s why…. Many independent educators are unincorporated “sole proprietors”. In this case, personal assets including your home and bank account could be subject to seizure to pay a judgment relating to a dissatisfied parent or student. Anyone who works alone with children bears the risk of unwarranted allegations of sexual abuse or molestation. It is an uncomfortable truth that educators can be subject to allegations of this nature. You can’t be all places at all time. You do your best to vet your employees, but situations can and do occur. School Districts generally can’t be sued for allegations of Educational Malpractice. This places the independent educator in the cross hairs of a dissatisfied parent, even if they are not actually at fault. Any educator bringing clients to their home or office can be subject to claims arising out of bodily injury at their location, such as “slip and fall” injuries. Educators are finding themselves involved in lawsuits at an alarming rate. Besides costing you money, lawsuits take up your valuable time. The right insurance program will not only cover those legal bills, it will also help you through the process so you can get back to work and back to your life. Traditionally, homeowner or personal umbrella polices will not respond to claims resulting from an individual’s business endeavors, but a Business Insurance policy will protect you. Did you know that Oases Online Tutoring Software has dedicated areas to record your insurance information? You can even divide your business into revenue or program centers and track and record separately or as an entirety. 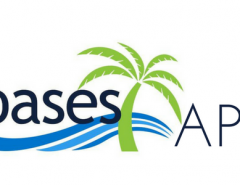 Watch demonstration videos or Check out the Features & Benefits of Oases Online. for a personal online demonstration and fit scenario! Henry works for Intermarket Insurance, the largest Tutoring and Learning Center business insurer in the country, with over 1,000 clients operating in the supplemental education business. Our clients include; Independent In-Home Tutoring, Franchise In-Home Tutoring, Learning Centers – both franchise and non-franchise businesses.